There are no "human" oppressors. Oppressors have lost their humanity. 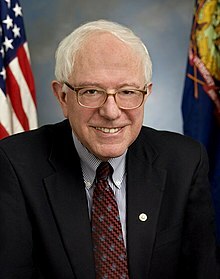 Bernard "Bernie" Sanders (born 8 September 1941) is an American politician and a current United States Senator from Vermont. The Bernie Sanders presidential campaign, 2016 began with his formal announcement on 30 April 2015. On February 19, 2019, Sanders announced a second presidential campaign against incumbent President Trump, joining multiple other Democratic candidates for the presidency. A self-described democratic socialist and progressive, Sanders is pro-labor rights and emphasizes reversing economic inequality. He advocates for universal and single-payer healthcare, paid parental leave, as well as tuition-free tertiary education . On foreign policy, Sanders broadly supports reducing military spending, pursuing more diplomacy and international cooperation, and putting greater emphasis on labor rights and environmental concerns when negotiating international trade agreements. There is no justice...when the top one-tenth of 1 percent.... in America owns almost as much wealth as the bottom 90 percent... Do you think it's moral when 20 percent of the children in this country, the wealthiest country in the history of the world, are living in poverty?...that 40 percent of African American children are living in poverty? We should not be providing welfare for corporations, huge tax breaks for the very rich, or trade policies which boost corporate profits as workers lose their jobs. It's time to tell the billionaire class that if they want to enjoy the benefits of America, they have to accept their responsibilities, and they have to start paying their fair share of taxes. The revolution comes when two strangers smile at each other, when a father refuses to send his child to school because schools destroy children, when a commune is started and people begin to trust each other, when a young man refuses to go to war and when a girl pushes aside all that her mother has 'taught' her and accepts her boyfriends (sic) love. There are no "human" oppressors. Oppressors have lost their humanity. On one hand "slavishness," on the other hand "pigness." Six of one, half dozen of the other. Who wins? Many women seem to be walking a tightrope now. Their qualities of love, openness, and gentleness were too deeply enmeshed with qualities of dependency, subservience, and masochism. How do you love — without being subservient? How do you maintain a relationship without giving up your identity and without getting strung out? How do you reach out and give your heart to your lover, but maintain the soul which is you? It's funny, sometimes American journalists talk about how bad a country is, that people are lining up for food. That is a good thing! In other countries people don't line up for food: the rich get the food and the poor starve to death. If we expanded Medicaid [to] everybody. Give everybody a Medicaid card—we would be spending such an astronomical sum of money that, you know, we would bankrupt the nation. The strong environmental position should not be and cannot be to do nothing, and to put our heads in the sand and pretend that the problem does not exist. My ears may have been playing a trick on me, but I thought I heard the gentleman a moment ago say something quote unquote about homos in the military. Was I right in hearing that expression? Was the gentleman referring to the thousands and thousands of gay people who have put their lives on the line in countless wars defending this country? Was that the groups of people that the gentleman was referring to? You have insulted thousands of men and women who have put their lives on the line. I think they are owed an apology. I have always been a proponent of a national health care system. It just seemed eminently fair and right. How can we call this a civilized society when the children or parents of the rich get the medical attention they need in order to stay alive, while members of working-class families, who lack health insurance, have to die or needlessly suffer--or go hopelessly into debt to get the care they need? This is an outrageous injustice and it cannot be rationally defended. I say this as an opponent of nuclear power, if I had my way, we would close down every nuclear power plant in this country as soon as we could, safely, but the problem is we have low-level waste. And to turn our backs on that problem and ignore that problem and to say that it will go away is wrong. The environmental debate today should be what is the safest way of disposing of low-level radioactive waste, and I would argue strongly that the passage of this legislation and depositing it in a safer location in Texas is the direction that we should go. The strong environmental position should not be and cannot be to do nothing, and to put our heads in the sand and pretend that the problem does not exist. It would be nice if Texas had no low-level radioactive waste, or Vermont or Maine or any other State. That would be great. That is not the reality. The environmental challenge now is, given the reality that low-level radioactive waste exists, what is the safest way of disposing of that waste. Leaving the radioactive waste at the site where it was produced, despite the fact that that site may be extremely unsafe in terms of long-term isolation of the waste and was never intended to be a long- term depository of low-level waste, is horrendous environmental policy. What sense is it to say that you have to keep the waste where it is now, even though that might be very environmentally damaging? That does not make any sense at all. No reputable scientist or environmentalist believes that the geology of Vermont or Maine would be a good place for this waste. In the humid climate of Vermont and Maine, it is more likely that groundwater will come in contact with that waste and carry off radioactive elements to the accessible environment. There is widespread scientific evidence to suggest, on the other hand, that locations in Texas, some of which receive less than 12 inches of rainfall a year, a region where the groundwater table is more than 700 feet below the surface, is a far better location for this waste. This is not a political assertion, it is a geological and environmental reality. ... From an environmental point of view, I urge strong support for this legislation. Are we happy that 99% of all new income is going to the top 1%? Are we happy that one family in this country owns more than the bottom 130 million people? When you look around the world, you see every other major country providing health care to all people as a right, except the United States. Mr. Speaker, in the brief time I have let me give you five reasons why I'm opposed to giving the President a blank check to launch a unilateral invasion and occupation of Iraq and why I will vote against this resolution. One: I have not heard any estimates of how many young American men and women might die in such a war, or how many tens of thousands of women and children in Iraq might also be killed. As a caring nation, we should do everything we can to prevent the horrible suffering that a war will cause. War must be the last recourse in international relations, not the first. Second, I am deeply concerned about the precedent that a unilateral invasion of Iraq could establish in terms of international law and the role of the United Nations. If President Bush believes that the US can go to war at any time against any nation, what moral or legal obligation can our government raise if another country chose to do the same thing. Third, the United States in now involved in a very difficult war against international terrorism, as we learned tragically on September eleventh. We are opposed by Osama Bin Ladin and religious fanatics who are prepared to engage in a kind of warfare that we have never experienced before. I agree with Brent Scowcroft, Republican former national security adviser for President George Bush senior, who stated and I quote, "An attack on Iraq at this time would seriously jeopardize if not destroy the global counter-terrorist campaign we have undertaken." Fourth, at a time when this country has a six-trillion dollar national debt and a growing deficit, we should be clear that a war and a long-term American occupation of Iraq could be extremely expensive. Fifth, I am concerned about the problems with so-called unintended consequences. Who will govern Iraq when Saddam Hussein is removed? And what role will the US play in an ensuing civil war that could develop in that country? Will moderate governments in the regions who have large Islamic fundamentalist populations be overthrown and replaced by extremists? Will the bloody conflict between Israel and the Palestinian Authority be exacerbated? And these are just a few of the questions that remain unanswered. If you are serious about real healthcare reform, the only way to go is single-payer. Women, for their own preservation, are trying to pull themselves together. And it is necessary for all of us that they do so. Want to get on the front page of the paper? I have to make some vicious attack. I won't do that. I’m running an issue-oriented campaign. Enough is enough! [...] How many homes can you own? Regarding Opposing Extending Bush-era tax rates, Memoli, Michael (10 December 2010). "Sen. Bernie Sanders ends filibuster". Los Angeles Times. Retrieved on 16 October 2013. The bottom line is when Senator Inhofe says global warming is a hoax, he is just dead wrong, according to the vast majority of climate scientists. Regarding Global warming, Gerken, James (31 July 2012). "Senator Bernie Sanders: Climate Change Is Real, Senator Inhofe Is 'Dead Wrong'". The Huffington Post. Retrieved on 16 October 2013. The real issue here, if you look at the Koch Brothers' agenda, is: look at what many of the extreme right-wing people believe. Obamacare is just the tip of the iceberg. These people want to abolish the concept of the minimum wage, they want to privatize the Veteran's Administration, they want to privatize Social Security, end Medicare as we know it, massive cuts in Medicaid, wipe out the EPA, you don’t have an Environmental Protection Agency anymore, Department of Energy gone, Department of Education gone. That is the agenda. And many people don’t understand that the Koch Brothers have poured hundreds and hundreds of millions of dollars into the tea party and two other kinds of ancillary organizations to push this agenda. Regarding the United States federal government shutdown of 2013, Sanders, Bernie (7 October 2013). MSNBC News Interview (7 October 2013) (06:41). YouTube. Retrieved on 12 October 2013. Staff (8 October 2013). "Bernie Sanders Says Koch Brothers Shut Down Government Via Citizens United". The Inquisitr. Retrieved on 12 October 2013. When you’re white you don’t know what it’s like to be living in a ghetto, you don’t know what it’s like to be poor...You don’t know what it’s like to be hassled when you walk down the street, or dragged out of a car. I find it remarkable that Saudi Arabia, which borders Iraq and is controlled by a multi-billion dollar family, is demanding that U.S. combat troops have ‘boots on the ground’ against ISIS. Where are the Saudi troops? With the third largest military budget in the world and an army far larger than ISIS, the Saudi government must accept its full responsibility for stability in their own region of the world. Ultimately, this is a profound struggle for the soul of Islam, and the anti-ISIS Muslim nations must lead that fight. While the United States and other western nations should be supportive, the Muslim nations must lead. Piccoli, Sean (6 March 2015). "Sen. Bernie Sanders Rips Saudis for Demanding US Troops Fight ISIS". NewsMax. Retrieved on 17 March 2015. Diamond, Jeremy (6 March 2015). "Sen. Bernie Sanders: 'I'll be damned' if Americans lead ISIS fight". CNN News. Retrieved on 17 March 2015. Sanders, Bernie (March 6, 2015). "Sanders Calls Saudi Demand for U.S. Ground Troops ‘Offensive’". US Senate. Retrieved on March 17, 2015. What we have seen is that while the average person is working longer hours for lower wages, we have seen a huge increase in income and wealth inequality, which is now reaching obscene levels. This is a rigged economy, which works for the rich and the powerful, and is not working for ordinary Americans … You know, this country just does not belong to a handful of billionaires. Staff (29 April 2015). "Bernie Sanders confirms presidential run and damns America's inequities". the Guardian. Retrieved on 2 May 2015. No single financial institution should have holdings so extensive that its failure could send the world economy into another financial crisis ... If an institution is too big to fail, it is too big to exist. Huntley, Steve (1 May 2015). "Steve Huntley: Sanders the socialist sure gets it right on big banks". Chicago Sun-Times. Retrieved on 2 May 2015. We have a crisis in higher education today. Too many of our young people cannot afford a college education and those who are leaving college are faced with crushing debt. It is a national disgrace that hundreds of thousands of young Americans today do not go to college, not because they are unqualified, but because they cannot afford it. This is absolutely counterproductive to our efforts to create a strong competitive economy and a vibrant middle class. This disgrace has got to end. In a global economy, when our young people are competing with workers from around the world, we have got to have the best educated workforce possible. And, that means that we have got to make college affordable. We have got to make sure that every qualified American in this country who wants to go to college can go to college -- regardless of income. Further, it is unacceptable that 40 million Americans are drowning in more than $1.2 trillion in student loan debt. It is unacceptable that millions of college graduates cannot afford to buy their first home or their first new car because of the high interest rates they are paying on student debt. It is unacceptable that, in many instances, interest rates on student loans are two to three times higher than on auto loans. "Not if we have the opportunity to describe what democratic socialism means. ... You have countries like Denmark, Sweden, Norway ... which have had social democratic governments. ... In those countries, healthcare is a right for all people. ... Tuition is free. ... In those countries, governments are working for the middle class, rather than the billionaire class." Warren Buffett, one of the richest guys in the world, openly admits that his effective tax rate is lower than his secretary's. It's time to tell the billionaire class that if they want to enjoy the benefits of America, they have to accept their responsibilities, and they have to start paying their fair share of taxes. In the last thirty years, there has been a massive redistribution of wealth. Unfortunately, it's gone in the wrong direction. ... All that money that has gone from the middle class to the top 1%, I think it should start coming back to the people who need it the most. There are millions and millions of people who are tired of establishment politics, who are tired of corporate greed, who want a candidate that will help lead a mass movement in this country. ... What people are saying is, "Enough is enough. The billionaire class cannot have it all." In my view, and we've introduced legislation to deal with this, if a bank is too big to fail, it is too big to exist. What right-wing people in this country would love is an open-border policy. Bring in all kinds of people, work for $2 or $3 an hour, that would be great for them. I don't believe in that. I think we have to raise wages in this country, I think we have to do everything we can to create millions of jobs. You know what youth unemployment is in the United States of America today? If you're a white high school graduate, it's 33 percent, Hispanic 36 percent, African American 51 percent. You think we should open the borders and bring in a lot of low-wage workers, or do you think maybe we should try to get jobs for those kids? I think from a moral responsibility we've got to work with the rest of the industrialized world to address the problems of international poverty, but you don't do that by making people in this country even poorer. Open borders? [...] That's a right-wing proposal, which says essentially there is no United States. [...] It would make everybody in America poorer. You're doing away with the concept of a nation state, and I don't think there's any country in the world that believes in that. If you believe in a country called the United States or any other country, you have an obligation to do everything we can to help poor people. What right-wing people in this country would love is an open-border policy. Bring in all kinds of people, work for $2 or $3 an hour, that would be great for them. I don't believe in that. I think we have to raise wages in this country, I think we have to do everything we can to create millions of jobs. My friends, the Republican Party did not win the midterm election in November: We lost that election. We lost because voter turnout was abysmally, embarrassingly low, and millions of working people, young people and people of color gave up on politics as usual and they stayed home. That’s a fact. In my view, Democrats will not retain the White House, will not regain the Senate or the U.S. House, will not be successful in dozens of governor races across the country, unless we generate excitement and momentum and produce a huge voter turnout. With all due respect – and I do not mean to insult anyone here – that turnout, that enthusiasm, will not happen with politics as usual. The people of our country understand that given the collapse of the American middle class, and given the grotesque level of income and wealth inequality we are experiencing, we do not need more establishment politics or establishment economics. I think obviously vaccinations work. Vaccination has worked for many, many years. I am sensitive to the fact that there are some families who disagree but the difficulty is if I have a kid who is suffering from an illness who is subjected to a kid who walks into a room without vaccines that could kill that child and that's wrong. A nation that in many ways was created—I'm sorry to have to say this, from way back—on racist principles, that's a fact, we have come a long way as a nation. Absolutely, in fact, climate change is directly related to the growth of terrorism. What happens in Syria, for example, there's some thought about this. When you have drought, when people can't grow their crops, they're going to migrate into cities and when people migrate into cities and when they don't have jobs, there's going to be a lot more instability, a lot more unemployment and people will be subject to the types of propaganda that Al Qaeda and ISIS are using right now and so where you have discontent you have instability, that's where problems arise and certainly without a doubt, a climate change will lead to that. "Bernie Sanders doubles down on link between climate change and terrorism", CBS News (15 November 2015), when asked how drought connect with ISIS attacks in Paris. Democratic socialism means that in a democratic, civilized society the wealthiest people and the largest corporations must pay their fair share of taxes. "Bernie Sanders Speech On Democratic Socialism", (19 November 2015). Let me define for you, simply and straightforwardly, what Democratic socialism means to me. It builds on what Franklin Delano Roosevelt said when he fought for guaranteed economic rights for all Americans. And it builds on what Martin Luther King, Jr said in 1968 when he stated that; “This country has socialism for the rich, and rugged individualism for the poor.” It builds on the success of many other countries around the world that have done a far better job than we have in protecting the needs of their working families, the elderly, the children, the sick and the poor. Democratic socialism means that we must create an economy that works for all, not just the very wealthy. Democratic socialism means that we must reform a political system in America today which is not only grossly unfair but, in many respects, corrupt.... Wall Street CEOs who help destroy the economy get raises in their salaries. This is what Martin Luther King, Jr. meant by socialism for the rich and rugged individualism for everyone else. We should not be providing welfare for corporations, huge tax breaks for the very rich, or trade policies which boost corporate profits as workers lose their jobs. It means that we create a government that works for works for all of us, not just powerful special interests. It means that economic rights must be an essential part of what America stands for. I don't believe government should take over the grocery store down the street or own the means of production, but I do believe that the middle class and the working families who produce the wealth of America deserve a decent standard of living and that their incomes should go up, not down. I do believe in private companies that thrive and invest and grow in America, companies that create jobs here, rather than companies that are shutting down in America and increasing their profits by exploiting low-wage labor abroad. "So in everything, do to others what you would have them to do to you, for this sums up the war and the prophets." That is the golden rule. Do unto others, what you would have them do to you. That is the golden rule, and it is not very complicated. Now here is my point. Some of you may agree with me, and some of you may not, but in my view, it would be hard for anyone in this room today to make the case that the United States of America, our great country, a country which all of us love, it would be hard to make the case that we are a just society, or anything resembling a just society today. There is no justice, and I want you to hear this clearly, when the top one-tenth of 1 percent -- not 1 percent, the top one-tenth of 1 percent -- today in America owns almost as much wealth as the bottom 90 percent. And in your hearts, you will have to determine the morality of that, and the justice of that. Do you think it's moral when 20 percent of the children in this country, the wealthiest country in the history of the world, are living in poverty? 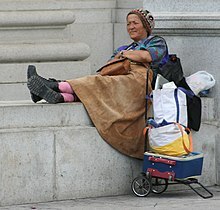 Do you think it is acceptable that 40 percent of African American children are living in poverty? In my view, there is no justice when low income and working class mothers are forced to separate from their babies one or two weeks after birth and go back to work because they need the money that their jobs provide. Now I know everybody here -- we all are, maybe in different ways, but all of us believe in family values. I did not come from a family that taught me to build a corporate empire through housing discrimination, I protested housing discrimination, was arrested for protesting school segregation, and one of the proudest days of my life was attending the March On Washington For Jobs and Freedom led Dr. Martin Luther King Jr. The political revolution is not about one election or one candidate. It is about transforming America and continuing the fight for economic, social, racial and environmental justice. We have to continue to work together to advance the progressive future we all support..
We are going to transform this country and finally create an economy and a government which works for all of us, not just the 1 percent. The underlying principles of our government will not be greed, hatred and lies. As quoted in Fortune (February 17, 2016), "Bernie Sanders Was Right: Denmark Is the Best Nation for Working People"
No, I'm very proud of being Jewish. And being Jewish is so much of what I am. Look, my father's family was wiped out by Hitler in the Holocaust. I know about what crazy and radical and extremist politics mean. I learned that lesson as a tiny, tiny child when my mother would take me shopping, and we would see people working in stores who had numbers on their arms because they were in Hitler's concentration camps. I'm very proud of being Jewish. And that's an essential part of who I am as a human being. Anybody help me out here, because I don't remember the figures, but my recollection is over 10,000 innocent people were killed in Gaza. Does that sound right? I don't have it in my number... but I think it's over 10,000. My understanding is that a whole lot of apartment houses were leveled. Hospitals, I think, were bombed. So yeah, I do believe and I don't think I'm alone in believing that Israel's force was more indiscriminate than it should have been. We are living in a world where greed has become for the wealthiest people their own religion, and they make no apologies for it. The people in every state in this country should have the right to determine who they want as president and what the agenda of the Democratic Party should be. That’s why we are in this race until the last vote is cast. That is why this campaign is going to the Democratic National Convention in Philadelphia with as many delegates as possible to fight for a progressive party platform that calls for a $15 an hour minimum wage, an end to our disastrous trade policies, a Medicare-for-all health care system, breaking up Wall Street financial institutions, ending fracking in our country, making public colleges and universities tuition free and passing a carbon tax so we can effectively address the planetary crisis of climate change. León Krauze: I am sure that you know about this topic: various leftist governments, especially the populists, are in serious trouble in Latin America. The socialist model in Venezuela has the country near collapse. Argentina, also Brazil, how do you explain that failure? Krauze: I am sure you're interested in that. Sanders: I am very interested, but right now I'm running for President of the United States. Krauze: So you don't have an opinion about the crisis in Venezuela? Sanders: Of course I have an opinion, but as I said, I'm focused on my campaign. I've got to tell you, 25 years ago, I believe that in this country, we should not be selling automatic weapons which are designed to kill people. We have got to do everything that we can on top of that to make sure that guns do not fall into the hands of people who should not have them, criminals, people who are mentally ill. So that struggles continues. The political revolution is not about one election or one candidate. It is about transforming America and continuing the fight for economic, social, racial and environmental justice. We have to continue to work together to advance the progressive future we all support. People can argue about the pluses and minuses of marijuana, but everyone knows it’s not a killer drug like heroin. I am disappointed by the president's decision to continue pushing forward on the disastrous Trans-Pacific Partnership trade agreement that will cost American jobs, harm the environment, increase the cost of prescription drugs and threaten our ability to protect public health. This treaty is opposed by every trade union in the country and virtually the entire grassroots base of the Democratic Party. ... Secretary Clinton made her strongest statement to date against this deal. In my view, it is now time for the leadership of the Democratic Party in the Senate and the House to join Secretary Clinton and go on the record in opposition to holding a vote on this job-killing trade deal during the lame-duck session of Congress and beyond. We need to defeat this treaty and fundamentally rewrite our trade policies to create good-paying jobs in this country and throughout the world and end the race to the bottom. I will continue to do everything I can to make sure that the TPP does not get implemented. It is an international embarrassment that we put more people behind bars than any other country on earth. Due in large part to private prisons, incarceration has been a source of major profits to private corporations. Study after study after study has shown private prisons are not cheaper, they are not safer, and they do not provide better outcomes for either the prisoners or the state. We have got to end the private prison racket in America as quickly as possible. Our focus should be on keeping people out of jail and making sure they stay out when they are released. This means funding jobs and education not more jails and incarceration. I fear very much that, in fact, government of the people, by the people and for the people is beginning to perish in America. The business model of Wall Street is fraud. In my view, there is no better example than the recently-exposed illegal behavior at Wells Fargo. We have got to end the two-tier justice system — one for the poor and working class and one for Wall Street and the wealthy — that has existed for far too long in this country. Wall Street won’t change until we make it clear that no bank is too big to fail and no CEO is too big to jail. Donald Trump is a pathological liar. What media loves is to focus on the candidates. What the American people, I believe, want is for us to focus on them, not the candidates, not anymore. And aligned with a corrupt campaign finance system is a rigged economy. And that's an economy where ordinary Americans are working longer hours for low wagers. They are worried to death about the future of their kids. And yet they are seeing almost all new income and all new wealth going to the top 1 percent. And then in addition to that, the American people are looking around and they see a broken criminal justice system. They see more people in jail in the United States of America than any other country on earth, 2.2 million. We're spending $80 billion a year locking up fellow Americans. Well, Secretary Clinton, you're not in the White House yet. And let us be clear that every proposal that I have introduced has been paid for. For example, all right, who in America denies that we have an infrastructure that is crumbling? Roads, bridges, water systems, wastewater plants, who denies that? But, here is a pledge I've made throughout this campaign, and it's really not a very radical pledge. When we have more people in jail, disproportionately African American and Latino, than China does, a communist authoritarian society four times our size. Here's my promise, at the end of my first term as president we will not have more people in jail than any other country. 29 million people have no health insurance today in America. We pay, by far, the highest prices in the world for prescription drugs. One out of five Americans can't even afford the prescriptions their doctors are writing. Millions of people have high deductibles and co-payments. I don't know what economists Secretary Clinton is talking to, but what I have said, is that the family right in the middle of the economy would pay $500 dollars more in taxes, and get a reduction in their healthcare costs of $5,000 dollars. In my view healthcare is a right of all people, not a privilege, and I will fight for that. There is one major country that does not guarantee health care to all people. There is one major country--the United States--which ends up spending almost three times per capita what they do in the U.K. guaranteeing health care to all people, 50 percent more than they do in France guaranteeing health care to all people, far more than our Canadian neighbors, who guarantee health care to all people. Billionaires and Wall Street should not be buying elections. I think that the American people are never going to elect a president who insults Mexicans, who insults Muslims, who insults women, who insults African-Americans. And let us not forget that several years ago, Trump was in the middle of the so- called birther movement, trying to delegitimize the president of the United States of America. You know, I find it very interesting, Karen, my dad was born in Poland. I know a little bit about the immigrant experience. Nobody has ever asked me for my birth certificate. Maybe it has something to do with the color of my skin. Poverty is increasing. And if wages are going down, I don’t know why we need millions of people to be coming into this country as guestworkers who will work for lower wages than American workers and drive wages down even lower than they are right now. ... You have guestworker programs that have been described by the Southern Poverty Law Center, one of the important institutions in this country who studies these issues, as guestworkers programs akin to slavery, where people came in. They were cheated. They were abused. They were humiliated. And if they stood up for their rights, they would be thrown out of the country. I supported the 2013 immigration reform bill. And what I believe right now is not only that we need comprehensive immigration reform. ... In this country, immigration reform is a very hot debate. It’s divided the country. But I would hope very much, that as we have that debate, we do not, as Donald Trump and others have done, resort to racism and xenophobia and bigotry. This idea of suddenly, one day or maybe a night, rounding up 11 million people and taking them outside of this country is a vulgar, absurd idea that I would hope very few people in America support. I applaud President Obama for his efforts on DAPA and DACA. And I think we have got to expand those efforts. ... Now I happen to agree with President Obama on many, many issues. I think he has done a great job as president of the United States. He is wrong on this issue of deportation. I disagree with him on that. I have just been informed that the alleged shooter at the Republican baseball practice is someone who apparently volunteered on my presidential campaign. I am sickened by this despicable act, and let me be as clear as I can be: Violence of any kind is unacceptable in our society and I condemn this action in the strongest possible terms. Real change can only come about through nonviolent action, and anything else runs against our most deeply held American values. My hopes and prayers are that Representative Scalise, congressional staff and the Capitol Police Officers who were wounded make a quick and full recovery. I also want to thank the Capitol Police for their heroic actions to prevent further harm. Interviewed by Chuck Todd of NBC News on Meet the Press on 18 February 2018 after the Stoneman Douglas High School shooting ( "Meet the Press - 18 February 2018". Meet the Press. NBC News. 18 February 2018. Retrieved on 1 September 2018. ). I think that what we need is to create policies which deal with immigration in a rational way. And a rational way is not locking children up in detention centers or separating them from their mothers. What we need is Trump to sit down with members of Congress and work on a rational program which deals with this serious issue. Answering to Jake Tapper on if he is in favor of abolishing the U.S. Immigration and Customs Enforcement agency. Mirkinson, Jack (26 June 2018). "Not Good Enough, Bernie Sanders". Splinter News. Retrieved on 27 June 2018. I am not a great fan of shouting down people or being rude to people, I think we have a situation and a Congress that's way out of touch with where the American people are. People have a right to be angry when Congress gives tax breaks to billionaires and wants to cut nutrition programs for low income pregnant women. You have a right to be angry. Take that out in a constructive way. ... I think people have a right to go into a restaurant and have dinner, that's where we got to place our energy. I do know that people are angry. They are angry about these terribly inhumane immigration policies. They're angry about the fact they can't afford prescription drugs. They are angry about tax breaks that go to billionaires. The way to deal with that is exactly what Alexandria did. Organize at the grass roots level. Win elections and get involved in the political process. About the Red Hen restaurant controversy. Video online at Mediaite, 27 June 2018. The underlying principles of our government will not be greed, hatred and lies. It will not be racism, sexism, xenophobia, homophobia and religious bigotry. This campaign will be based on justice—on economic justice, on social justice, on racial justice, on environmental justice. Somehow, we have billions of dollars available for more jails and incarceration, but we "can't afford" to provide kids with the college education they need to survive in modern America. That doesn't make any sense to me. If somebody commits a serious crime – sexual assault, murder – they're going to be punished. They may be in jail for 10 years, 20 years, 50 years, their whole lives. That's what happens when you commit a serious crime. But I think the right to vote is inherent to our democracy. Yes, even for terrible people, because once you start chipping away and you say, 'Well, that guy committed a terrible crime; not going to let him vote. Well, that person did that; not going to let that person vote. You're running down a slippery slope. I learned a great deal about immigration as a child because my father came from Poland at the age of 17, without a nickel in his pocket, without knowing one word of English. He came to the United States to escape the crushing poverty that existed in his community, and to escape widespread anti-Semitism. And, it was a good thing that he came to this country because virtually his entire family was wiped out by Hitler and Nazi barbarism... The underlying principles of our government will not be racism, sexism, xenophobia, homophobia, and religious bigotry. I did not come from a family that taught me to build a corporate empire through housing discrimination. I protested housing discrimination, was arrested for protesting school segregation, and one of the proudest days of my life was attending the March on Washington for jobs and freedom led by Dr. Martin Luther King Jr.
We must not, however, equate anti-Semitism with legitimate criticism of the right-wing, Netanyahu government in Israel. Coming from a lower-middle-class family, I will never forget how money or, really, lack of money was always a point of stress in our family... My experience as a child growing up in a family that struggled economically powerfully influenced my values,” he went on, describing growing up the son of a Polish-Jewish immigrant paint salesman who lost nearly his entire family in the Holocaust....Unlike Donald Trump, who shut down the government and left 800,000 federal employees without income to pay their bills, I know what it’s like to be in a family that lives paycheck to paycheck... I did not have a father who gave me millions of dollars to buy luxury skyscrapers, casinos, and country clubs. I did not come from a family that gave me a $200,000 allowance every year beginning at the age of 3. As I recall, my allowance was 25 cents a week...I did not come from a family that taught me to build a corporate empire through housing discrimination, I protested housing discrimination, was arrested for protesting school segregation, and one of the proudest days of my life was attending the March On Washington For Jobs and Freedom led Dr. Martin Luther King Jr.
We are going to transform this country and finally create an economy and a government which works for all of us, not just the 1 percent. The underlying principles of our government will not be greed, hatred and lies. It will not be racism, sexism, xenophobia, homophobia and religious bigotry. This campaign will be based on justice—on economic justice, on social justice, on racial justice, on environmental justice. Our bill does what the American people want by substantially increasing the estate tax on the wealthiest families in this country and dramatically reducing wealth inequality. From a moral, economic, and political perspective our nation will not thrive when so few have so much and so many have so little. Every American, regardless of income, should have the opportunity to get the education they need to thrive. We must move to make public colleges and universities tuition-free across the nation. The United States of America is the only -- only -- major country on Earth that does not provide paid family and medical leave. That must change. I do not believe that men and women fought and died for our right to vote so that billionaires could buy elections. We must move to real campaign finance reform and public funding of elections. Ending the estate tax would give a tax break of up to $63 billion to the Walton family and $39 billion to the Kochs—but $0 to 99.8% of Americans. At a time of record inequality, the very last thing we should do is line the pockets of the rich. The racist and homophobic attack on Jussie Smollett is a horrific instance of the surging hostility toward minorities around the country. Billionaires and huge corporations should not be allowed to use loopholes and tax havens to avoid paying their fair share. At a time of massive global inequality the very wealthy should be paying more in taxes, not less. Our infrastructure is collapsing. Teachers are underpaid. Veterans sleep on the streets. Families can't afford child care. But, according to my Republican colleagues, one of our highest priorities must be to give hundreds of billions of dollars to a few billionaire families. Vermont Sen. Bernie Sanders said he thinks everyone should have the right to vote – even the Boston Marathon bomber. Asked at a CNN town hall Monday night if he thought felons should be allowed to vote – even while they're incarcerated, not just after they're release – Sanders said the country needs more people to vote. Senate Democrats say they’re open to getting behind Sanders if he appears the strongest candidate a year from now. And there’s no whiff of an effort to deny him the nomination, according to interviews with more than 20 Democratic senators. It's not that the Democratic Caucus is rallying behind him; most of its members would prefer a more mainstream nominee, even if they're unwilling to say it at this point. But they're giving Sanders props for what he's accomplished and say if he's able to win the nomination, more power to him. Well, as you know, I was blessed to do over a hundred events for my dear brother [Bernie Sanders]. And this is the first time I’ve had a chance to publicly endorse him again, but yes, indeed. I’ll be in his corner that we’re going to win this time. And it has to do with the Martin Luther King like criteria of assessing a candidate namely the issues of militarism, poverty, materialism, and racism, xenophobia in all of its forms that includes any kind of racism as you know against black people, brown people, yellow people, anybody, Arabs, Muslims, Jews, Palestinians, Kashmirians, Tibetans and so forth. So that there’s no doubt that the my dear brother Bernie stands shoulders above any of the other candidates running in the Democratic primary when it comes to that Martin Luther King-like standards or criteria. He’s an anti-racist in his heart. Two, he’s old-school. He’s like me. He doesn’t know the buzzwords. He doesn’t endorse reparations, one moment in the last 30 years, silent on it. He has the consistency over the years decade after decade and therefore it’s true in his language, in his rhetoric. There are times in which he doesn’t... use the same kind of buzzwords. But when it comes to his fight against racism, going to jail in Chicago as a younger brother and he would go to jail again. He and I would go to jail together again in terms of fighting against police brutality. So in that sense, I would just tell my brothers and sisters, but especially my chocolate ones that they shouldn’t be blinded by certain kinds of words they’re looking for, that in the end, he is a long distance runner in the struggle against white supremacy. To counteract the media propaganda arsenal now in place, we should fully recognize that arsenal as the main weaponry that corporate power will deploy against the Bernie 2020 campaign. We must confront those corporate media forces while vastly strengthening independent progressive media work of all kinds. The ferocity of media attacks on him often indicates that corporate power brokers are afraid his strong progressive populism is giving effective voice to majority views of the public... The overarching fear that defenders of oligarchy have about Bernie Sanders is not that he’s out of step with most Americans — it’s that he’s in step with them. For corporate elites determined to retain undemocratic power, a successful Bernie 2020 campaign would be the worst possible outcome of the election. Trump’s dig on socialism means he’s scared, Ocasio-Cortez said after his speech. What really scares the pro-plutocrats on both sides of the political aisle about her, [Bernie] Sanders and other democratic socialists is that they have become messengers for a compelling message with an actual vision — the simple idea that it’s up to government to intervene and equalize the playing field between the capital that owns the politicians, the system and the rewards, and the general public toiling to provide those rewards. The estate tax, established by Congress a century ago to put a brake on the build-up of concentrated wealth and power, is paid only by a miniscule sliver of billionaires and multi-millionaires. At the time, Theodore Roosevelt supported the estate tax as a protection against the “tyranny of plutocracy.” Sanders estate tax proposal is a plutocracy prevention act, squarely aimed at preventing the children of today’s billionaires from dominating our future democracy, economy, culture and philanthropy. Sen. Bernie Sanders is introducing a bill to increase the estate tax on the nation's billionaires to a rate of 77 percent. Sanders would like to get back there: Under his plan, estates between $3.5 million and $10 million would be taxed at 45 percent; estates between $10 million and $50 million would be taxed at 50 percent; and estates between $50 million and $1 billion would be taxed at 55 percent. Estates of people with more than a billion dollars to their name would be taxed at 77 percent. Sanders said the bill would affect the richest 0.2 percent of earners. Sanders’ proposal also would get rid of some of the tax shelters and dodges that the wealthy use to get out of paying the estate tax. That move echoes policy proposals from Warren and Sen. Cory Booker (D-N.J.). Each has included reforms to estate tax loopholes as funding mechanisms for other legislative proposals. Sanders said his act already has the approval of economists including Thomas Piketty, Emmanuel Saez and Robert Reich. I worked for Bernie right out of college... For 20 yrs, this...has made getting any job in politics/media far more difficult.... I speak from experience when I say that the hatred of him & his ideology by the political/media class is very real. 29 million people have no health insurance today in America...In my view healthcare is a right of all people, not a privilege, and I will fight for that. If Bernie Sanders had an ounce of [Michael] Avenatti’s fearlessness, he would’ve been the Democratic nominee, and we would have had a much tougher time beating him. Now, I don’t believe a professional politician is going to be there at the end of the day. I’ve always said it’s going to be someone like Oprah, or Avenatti, or somebody that’s more media-savvy that’s going to be there. Steve Bannon (in an interview with Bill Maher) as quoted by Langois, Shawn (30 September 2018). "Michael Avenatti, a legitimate candidate in 2020? Steve Bannon seems to think so". MarketWatch. Retrieved on 30 September 2018. Well, Bernie Sanders is an extremely interesting phenomenon. He’s a decent, honest person. That’s pretty unusual in the political system. Maybe there are two of them in the world, you know. But he’s considered radical and extremist, which is a pretty interesting characterization, because he’s basically a mainstream New Deal Democrat. His positions would not have surprised President Eisenhower, who said, in fact, that anyone who does not accept New Deal programs doesn’t belong in the American political system. That’s now considered very radical. Sanders ... has mobilized a large number of young people, these young people who are saying, "Look, we're not going to consent anymore." And if that turns into a continuing, organized, mobilized force, that could change the country. Sanders’ modus operandi and avowed lack of experience in the real world of profits, loss, and investment leaves him at something of a loss when it comes to talking about the economy. His plans for everything from reforming health care to boosting economic growth and providing free college tend to have an air of unreality about them. As a result, mainstream economists and business leaders aren’t feeling the Bern. Bernie Sanders, who at least acknowledges our economic reality and refuses to accept corporate money for his presidential campaign, plays the role of the Democratic Party’s court jester. No doubt to remain a member of the court, he will not condemn the perfidy and collaboration with corporate power that define Obama, Hillary and Bill Clinton and the Democratic Party. He accepts that criticism of empire is taboo. He continues, even as the party elites rig the primaries against him, to make a mockery of democratic participation, to hold up the Democrats as a tool for change. He will soon be urging his supporters to vote for Hillary Clinton, actively working as an impediment to political mobilization and an advocate for political lethargy. Sanders, whose promise of a political revolution is as hollow as competing campaign slogans, will be rewarded for his duplicity. He will be allowed to keep his seniority in the Democratic caucus. The party will not mount a campaign in Vermont to unseat him from the U.S. Senate. He will not, as he has feared, end up a pariah like Ralph Nader. But he, like everyone else in the establishment, will have sold us out. Markets are unsettled because of geopolitical risks, the slowdown in China, and because Bernie Sanders has become a viable candidate. Bernie Sanders [is] doing good and courageous things. He’s organizing a lot of people. That campaign ought to be directed to sustaining a popular movement that will use the election as a kind of an incentive and then go on, and unfortunately it’s not. When the election’s over, the movement is going to die. And that’s a serious error. ... The only thing that’s going to ever bring about any meaningful change is ongoing, dedicated, popular movements that don’t pay attention to the election cycle. Bernie Sanders, a self-professed socialist who is almost as extreme in his own way as Trump is. I don't “feel the Bern” and I can't make common cause with those who do. Max Boot The Republican Party is dead. Los Angeles Times (8 May 2016). I have been a conservative Republican my entire life. But the Republican Party as a whole has gotten so far out of touch with the American people. I switched my registration so that I could vote for Sanders in the primary, but the day the primary is over I'm going to register as an independent. I hope Bernie Sanders is the destruction of the Democratic Party. It's time to break up the two party dictatorship. If Bernie Sanders wins he'll be the first socialist elected president since 2008. Bernie Sanders (Video 59:43; C-SPAN; 9 March 2015; National Press Club).